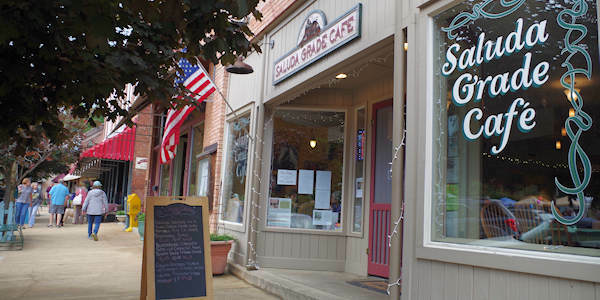 Saluda, a tiny town of 700 residents, boasts a picturesque Main Street packed with an impressive selection of longtime restaurants, shops and galleries surrounded by beautiful scenery. It's been a popular mountain tourist town since the late-1800s and definitely one of our favorite towns to explore. 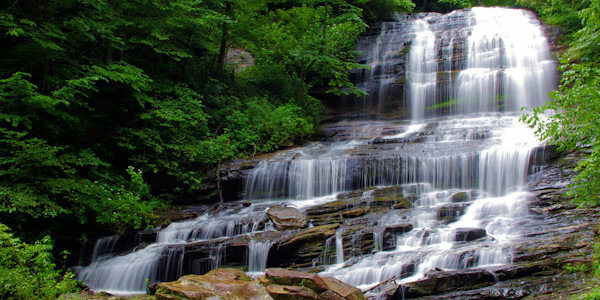 Nearby is Pearson's Falls and the Green River Gorge. Just 35 miles from downtown Asheville, the one-street downtown hasn’t changed much since it was founded in 1878. Most buildings on Main Street have been added to the National Register of Historic places. 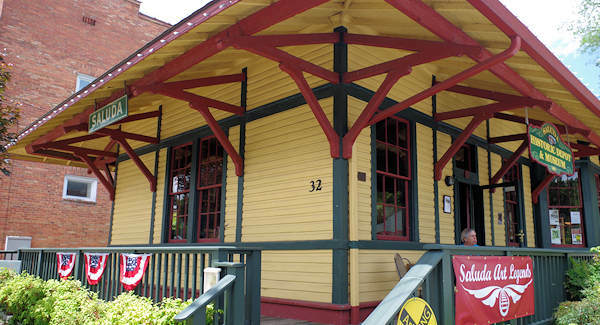 Saluda came about when the Spartanburg and Asheville Railroad arrived, at the crest of the Saluda Grade, the steepest mainline standard-gauge track in the eastern United States. Businesses moved in, summer homes were built and tourists from South Carolina filled local boarding houses to escape the hot summers. Saluda developed the reputation of a cool mountain resort town that offered health benefits to those who came. See a Saluda Grade Diorama in the Depot, open Thursday-Sunday afternoons. 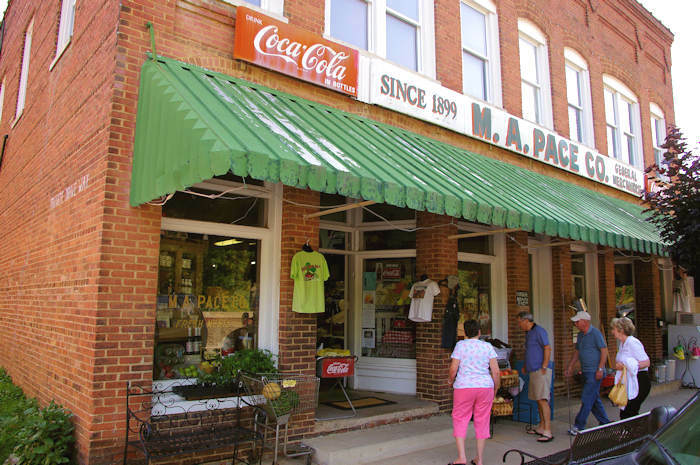 Pace's General Store is worth the visit. 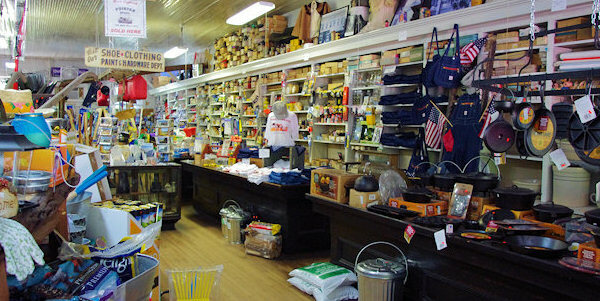 This old-fashioned hardware and general store was founded in 1899 and was featured on Our Vanishing Americana. Inside you will find everything from Pointer overalls, jams and jellies of every variety, garden items, hardware and much more. 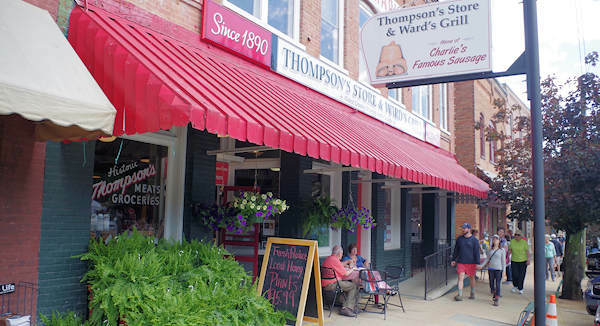 Just down the street since 1892 is Thompson's Store and Ward's Grill. They have a great deli, the perfect place to pick up a picnic to take to Pearson's Falls! Restaurants include The Purple Onion, with an emphasis on the Mediterranean's simple, healthful cuisine and a focus on freshness, as well as offering live music and outdoor dining. The Saluda Grade Cafe menu encompasses a large number of options, ranging from steaks to seafood. Green River BBQ is another delicious and casual choice. A short drive from downtown is the more upscale Newman's Restaurant inside the historic Orchard Inn, serving dinner Thursday-Saturday and Sunday brunch by reservation only. 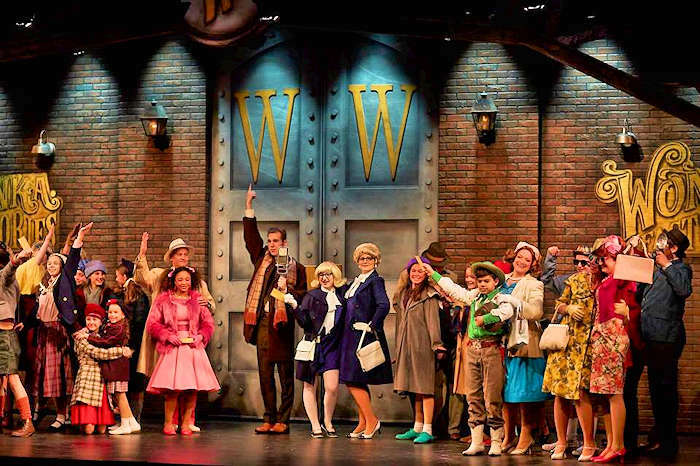 This is an arts town! Browse many galleries. 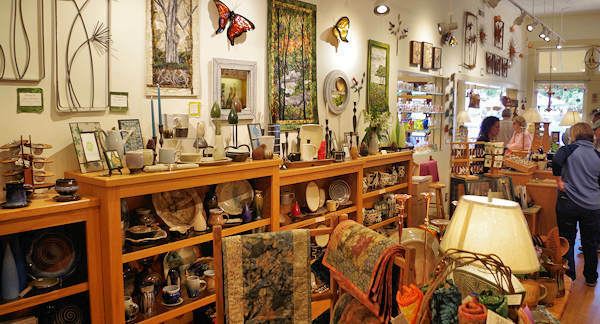 A must-visit is Heartwood Gallery, featuring 100% American craft for 30+ years in Saluda! And don't miss the highly recommended Saluda Arts Festival each May. The Green River Gorge offers a big variety of outdoor adventures, including inflatable kayak trips down the whitewater, stand up paddleboard rental, tubing, fishing, camping and even waterfall rappelling. Read more. 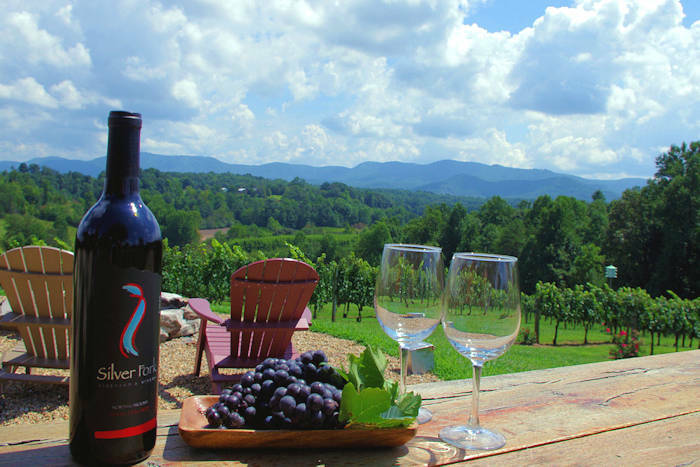 Nearby, check out the amazing Tryon International Equestrian Center and the Tryon Foothills Wine Country. 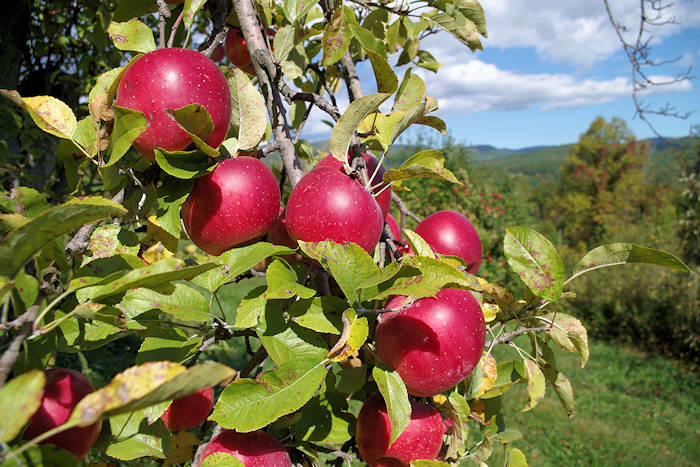 See more of our Coolest NC Mountain Small Towns - including nearby Tryon and Hendersonville. Directions from Asheville: Take I-26 East about 35 miles to Exit 59. 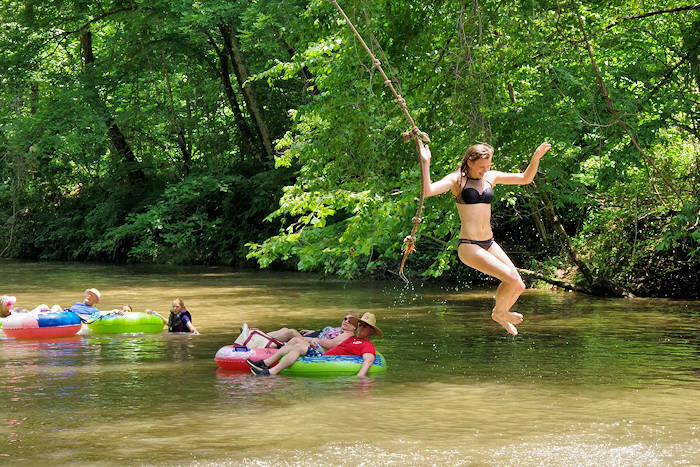 Rent a tube and set sail for a lazy day on the beautiful Green River near Saluda. Choose from three- to six-mile float trips. It's great for beginner kayakers, too. Tubing companies provide transportation. Stop at the jump-off rock to rope dive! Start your zip line adventure perched on the rim of the famous Green River Gorge, then soar from tree tops. Descend 1,100 ft. in elevation through 125 acres of old growth and protected forest. Overlook 14,000 acres of wilderness via 11 zip lines, a sky bridge and 3 huge rappels. Outstanding festival with 100% hand-picked regional artists along Saluda's historic Main Street. See a big diversity of art media and enjoy music representing Americana, blues, folk and contemporary. Watch artist demonstrations. Free. 10 AM-4 PM. A street festival for dogs and their people with great food, live music, a very fun parade, crafts, street dance, dog competitions and more in Saluda. Live entertainment until 11 PM. Free admission.